We’ve engaged by clients on hundreds of new product development programs since 1990. From Sony’s PlayStation to the start-up of billion dollar semiconductor fabs around the world. Projects include semiconductor development programs (design and advanced node process development), large scale software development programs, IT Programs, systems integration, hardware development, technology facilities construction, manufacturing process start-up, business planning and product strategy development, and product portfolio alignment. Our primary expertise is in managing technology development that require significant innovation. In other words, planned and managed execution of “invention” to meet aggressive target dates. We have developed skills and unique technical expertise to engage innovation teams in planning and accelerating development of bleeding edge technology. Innovation can, in fact, be managed through clever planning and a deep understanding of “learning cycles” and how to accelerate the fail-learn process. A good deal of our work for clients is on “late - strategic” products, where we are called in late in the project life cycle. These projects are late and getting later. They are strategic “bet your company” projects. Our clients need an external reset and catalyst around which to refocus teams and put the project back on track. Most of the projects we work on are global, multisite, multi-cultural, multi-company, and technically complex. We also work on strategic products that are not yet started - that are in the definition stage. These projects have the greatest chances of success because we are able to establish proper patterns, define the MVP product based on good VOC, set targets based on realistic planning, and have enough time to teach teams how to accelerate their schedule. Once we have been successful on a single project, our clients often ask us to help them deploy the FTTM System across their portfolio. This work involves extensive training and development programs and long term mentoring. Clients such has Tektronix, Texas Instruments, Philips, Applied Materials, and Intel have all implement FTTM on multiple projects, individual implementations have involved training thousands of people across hundreds of projects. We have attempted to capture the highlights of some of our consulting engagements while maintaining client, technical and product confidentiality. For this reason we are not able to go into as much detail as would be necessary to fully explain the experience, but hopefully what we have presented will be enough to give you a flavor for our engagement process and the results we achieved with our clients. Most, if not all of our most recent work (over past 3 years) is not able to be shared due to IP confidentiality and the bleeding edge nature of most of our work. Following are a few examples of the work we do with clients. They are presented here to give the reader an idea of the scope and breadth of our work, but not meant to describe everything we do. As mentioned, we are not able to share the advanced technology work we are doing now due to IP confidentiality concerns, which is why many of the examples below have been properly “aged” over time and no longer represent the cutting edge. At the time, these were all major advances. Perhaps in a few years we will be able to talk about the working we are doing today. Included in the list below are large multinational corporate projects as well as small start-up projects involving just a handful of people. Between 30-40% of the work we do is with start-ups and emerging technology companies across many industries from Clean-tech to Automotive. Philips was faced with a challenge; develop a new personal-digital-assistant (PDA) using Microsoft's new Windows CE operating system in less than 12 months or lose the operating system exclusivity that Microsoft had granted to Philips and only four other hardware manufacturers. Philips had a few key engineers working on the project, but had not formally organized the development team nor resourced it with the estimated hundreds of people that would be needed to get the job done. Further, even if all of the resources were in place, very few people believed that such a development of a completely new system using a new operating system could be done within a one-year time frame (which included the initial production run of the product). The stakes were high for Philips, because they knew that for every month they delayed they lost exclusivity on the Microsoft software, and that eventually many more hardware manufacturers would be offered the CE operating system, thereby dramatically reducing Philips's PDA market share. With only a handful of key engineering talent working on refining the system architecture and user requirements, our consulting team worked with a special executive team set up outside of the normal Philips structure to provide fast decision-making and resources to the embryonic development effort. We determined that the fastest approach to forming the team and developing the product was to create a fully self-contained business unit with all of the functional elements of a start-up corporation. This included engineering, marketing, procurement and legal, manufacturing, and human resources. Further, staffing the project with the estimated 200-300 people that would be needed to do the project effectively would take too much time. So it was decided that a core group of 20 Philips employees would be hired to manage the project and the rest of the resources would be contracted for as needed. Another complication for the team was the fact that Microsoft's operating system was new and not fully developed. The general market for PDA technology was new at the time and few really understood the end-user requirements for such a product. A rigorous planning and tracking process that enabled the Philips core team to manage over 200 independent development partners to work together as one integrated team, including Philips' manufacturing partner Selectron. Eventually, this core team, which included Microsoft, Philips, Toshiba, and Selectron, met two to three times a week to update the schedule and to model alternative scenarios. This process led to an 18-month acceleration of the project schedule, which enabled Philips to come very close to their target release date, only missing the goal by one month. The result: a full systems development program, including manufacturing ramp-up, in 13 months. Later that year Philips won a prestigious new product award at Comdex for their “Velo” PDA. The Engineering Executive that lead the project later went on to apply the best practices he learned at Philips to create the iPod, iTunes, iPhone, and iPad at Apple - and then after Apple he founded Nest Labs, which was later acquired by Google - his name is Tony Fadell. Fab8 achieved first silicon ahead of their target date at their advanced manufacturing facility in Malta New York at a cost savings of over $5M/day saved. The project budget was over $7B. lateralworks consulting team engaged with the GF team prior to groundbreaking in worked with the Malta, NY team for more than two years to assist in their successful fab start-up on bleeding edge process manufacturing technology. The lateralworks team was part of the initial 5-person planning team that developed the first start-up plan which eventually morphed into a group of over 2000 people at the time the first silicon was produced. The scope of the engagement included structuring the initial macro plan, defining the flat project organization structure around a heavyweight core team, developing detailed micro planning for each of the modules (i.e. Etch, Diffusion, Litho, etc. ), designing and implementing a sophisticated macro-micro roll-up system for micro plans rolling into the overall program schedule, implementation of refresh planning down to the module level (2 times a day), and the implementation of aggressive acceleration techniques that resulted in an overall acceleration of 15 months which enabled the fab to start product 2 weeks ahead of target. 28nmSLP Process Development - lateralworks consulting team worked extensively with an outstanding 28nm project team in Dresden Germany at Fab1. "Using GLOBALFOUNDRIES' 28-nanometer super low power (28nm-SLP) process, and demonstrating the capabilities of one of the most power efficient and highest performance analog/mixed-signal offerings for advanced system-on-chip (SoC) developments, the results of the two test chips have surpassed power and performance expectations." Working closing with the process development core team, lateralworks developed the initial macro plan and working with the team to deploy detailed planning throughout the entire development project. At the time, 28nm was the most advanced process node. The project extended to include process development through to the qualification of the first customer product ahead of target. Fab1 expansion program in Dresden Germany. 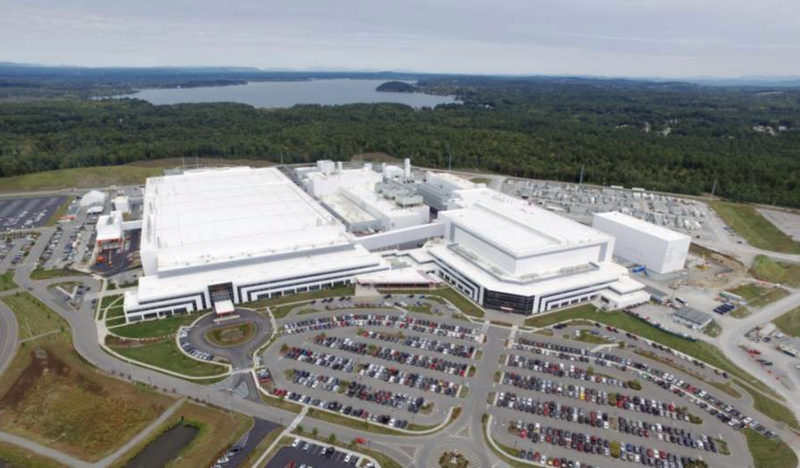 The Fab8 project was a “Greenfield” or new fab construction from the ground-up, while the Fab1 capacity expansion project was called a “Brownfield” project because the expansion had to be coordinated inside a operational fab that was making a majority of the revenue product for GlobalFoundries at the time. The project effectively doubled the capacity of the fab. lateralworks role was to design and implement the planning system used to schedule the installation and qualification of “tools” to meet the stepped capacity ramp targets. In addition to the planning system that was designed, lateralworks set-up the team structure around a “Fast Ramp Team” who owned the total process from procurement to qualification and help them implement this team structure inside of the highly functional fab operations management structure. The ramp project completed on time and each of the major capacity ramp steps were achieved ahead of target. lateralworks trained an internal team of Industrial Engineers to continue us the system and established the management procedures for ongoing schedule acceleration. Alta Devices development and manufacturing of the most efficient solar technology (Thin Film). Alta was a 100 person start-up with over $100M in venture capital funding. Problem Statement: lateralworks was retained because the company was having difficulty getting the first generation of technology (product) to market (on time). Their challenge was to simultaneously mature a complex semiconductor process technology, develop unique tools, procure and implement pilot-line production, and also to define first product functionality and target first product markets. Normally a multi-billion dollar task for a large company, yet it was being done with a fraction of the resources. The company had to start low volume production by the end of the year in order to continue financing the projected manufacturing expansion plan. The start-up of the production line meant the transition from research/development to technology commercialization. The target date was set for December 12. What lateralworks did... Redefined and focused corporate mission, target market, and first technology instantiation. Restructured project from departmental silos to an integrated lateral process that linked process development, tool development, manufacturing line install/qual to create an integrated macro system which could then be accelerated. Implemented aggressive schedule acceleration process; short-interval planning, weekly schedule update and pull-in involving the complete management team (>5000 task integrated schedule). This is a proprietary process developed by lateralworks; based on more than 20 years of best practice research in Silicon Valley. Re-organize project teams around integrated deliverables and redefined reporting. Trained and transferred best practices capability so internal team was capable of repeating process and continuing improvement on next generation technology. The >7 months schedule acceleration over the 11 month planning window was made more complex because the advanced and complex manufacturing process was in a continuous state of evolution/refinement while the pilot line was coming up; product functionality, unique tool design and fabrication, and manufacturing processes where in continuous motion. NETANYA, Israel - Cisco announced availability of Secure Access Control System (ACS) 5.0 (to evolve later into Cisco ISE. lateralworks was engaged with development teams headquartered in Israel and with remote operations in Massachusetts and California. Net impact was a 9-month schedule acceleration (i.e.pull-in). The team was just 3-weeks away from hitting their aggressive year-end FCS target, based on an overall multi-year program duration. ACS 5.0 was a complex 100+ person, geographically dispersed cross-platform software development program that touched almost every aspect of their hardware and software environment. ACS 5.0 represented a significant competitive advantage that leveraged hundreds of millions of dollars of Cisco hardware sales and strengthen Cisco's leadership position in the enterprise market. They used advanced management methodologies such as Extreme Programming and Agile Software Development and applied what the team called "End-to-End" management; where 11 teams each managed/owned their own part of the development effort--from requirements definition through coding and out until their element was fully integrated and tested (per spec.) in the final release build. This cross-functional or lateral orientation to managing development is a core best practice principle. lateralworks best-practice program management approach was the perfect fit for these advanced methods since many of the XP and Agile principals were predated by fastworks early research into the techniques of fast teams. For example, the "Scrum" concept in Agile is similar to "Refresh Planning" in the fastworks method. ACS 5.1 VOC Project - lateralworks also engaged with the team working on the next release (ACS 5.1) to define and prioritize customer and product requirements for the next gen application. This voice-of-the-customer (VOC) project narrowed the feature list to those most valued by ACS stakeholders in order to further accelerate ACS 5.1 development time. At Charles Schwab, lateralworks put in place a system to manage their IT Infrastructure Rationalization Program, accelerating $15M annual savings in half the time. Charles Schwab embarked on an IT Infrastructure Rationalization (IR) program. The goal was to reduce the annual IT operational run-rate by $15M by migrating over 1100 servers and 145 software applications to a common platform in less than 3 years. This was a massive effort; not only did it touch on every part of the company, it also meant replacing critical customer-facing servers such as those that ran www.schwab.com. Any downtime would have cost the company millions of dollars in lost revenue. We initiated the engagement by conducting an assessment to understand the goals, the structure of the program and the current status. This was an on-going program that started several months prior to our engaging. What we found were meetings with 20+ people, no team structure, no clear ownership of deliverables, no prioritization of the work effort and little integrated planning. This lead to a general feeling on the part of the team that “we must show something now, regardless of what we do we just need to be doing something.” A lot of detailed technical analysis had been completed by the various specialists on the program, but since the team lacked a common framework to channel all this energy it became difficult to see how the technical work fitted into the context of the overall program picture. We were fortunate to be able to work with a world class technical team with tremendous subject matter knowledge; with ideas like “virtualization” and “standard software stacks and low cost hardware platforms” that were well ahead of its time. The technical base was there, but clearly they needed a structure to focus and channel the expertise. Further, the 1100 servers and 145 software applications were grouped into projects that related to server clusters and lines of businesses that owned the infrastructure -- our client’s customers. These ~400 projects had equal priority and there was an attempt to get as many of them started as possible in an effort to demonstrate that activity was taking place. There was no prioritization of the portfolio that would indicate how each project affected attainment of the overall cost savings target. Since this was not a time-to-market project, but rather a time-to-savings program we needed to determine which of these projects would save the most, take the least time to execute and be the least disruptive/easiest to implement. With this information we knew we had to focus the limited resources on the projects that would give our client (and their customers) the “biggest bang for the buck,” achieve the cost reduction target and satisfy their customers and management that the team was headed in the right direction. It was clear from the start that this was more than a simple execution problem. The vision of moving to become a service orientated technology provider (ISCo model) meant setting goals and strategies to achieve those goals. It was imperative we addressed this head on, otherwise there would continue to be 400+ projects battling for resources with no clear direction and at some point eventually slipping their schedules causing team frustration and ultimately delayed cost savings. Through a series of small strategy alignment workshops with key executives we structured the program around a mutually agreed common vision, set of measurable goals, strategies to accomplish the goals, and tactics to execute the projects. Next we worked with the newly formed core-team to create the macro plan of the program that became the manifestation of the program strategy. We brought together a small group of subject matter experts to develop the macro plan based around a set of six milestones or high-level deliverables that had been committed to their customers and their internal management chain of command. For each deliverable, we identified the “doneness” criteria (essentially defined the scope of each milestone) that in turn allowed us to identify the macro activities for each major milestone. Building the macro plan was equivalent to first building the edges of a jigsaw: it provided the framework for the detail. The scoping process seemed simple, yet it was the first time the team had a structure around which they could channel their ideas about how the program should be organized. Instead of focusing on each other’s weaknesses or getting lost in endless technical debates, they focused on the schedule data and the project and found common understanding; they began to establish the foundation for future excellent supportive team work behaviors that would be needed during the pressure of project execution. Gradually, we extended the size of the team and at each event the schedule was scrubbed, refined and made better by more eyes and ideas. We were always cross-checking the project we were creating against the vision/goal/strategy/tactic/project framework that had previously been setup. During this process we gained buy-in from all key team members and they all walked away grasping the the program and its magnitude. Despite having a good top-level framework and a good macro schedule, we still had to work out the proper sequencing of the 400+ projects in order to maximize the savings given the constraints of each client organization (i.e restrictions on disrupting hundreds of millions of dollars worth of private and institutional trading, etc.). Clearly they could not all be done at the same time due to the limited resources of the IR team and the investment budget constraints they had to live within. Because this was a massive effort touching on all parts of the organization, it was key that we started small to avoid too much disruption, especially on the business and customer-facing side. The first task was to prioritize the business groups using four criteria: greatest savings potential, readiness to change, time to migrate and greatest importance to business. The business groups that ranked highest became the groups that we would target to start the migration while simultaneously achieving savings gains. We developed a decision-model that extracted the financial data from all 1100+ servers and ranked them based on savings and cost. From this detailed database a cost-benefit model was derived that showed 70% of the savings came from only three of the business groups. Drilling down to the next level of the model we found that 75% of these savings came from only a handful of servers. It was now a straight forward step to sequence project starts, i.e. which servers in which business group would be done first, second, third and so on. The project-starts-model provided the necessary information on which to sequence the project plans, organize execution teams, and get these first projects going. Execution came in the form of tracking the schedule and the tracking savings. We immediately started refreshing the macro plan: the process of updating and pulling-in the schedule on a weekly basis. It was also clear from the start however that the program was too big for a single schedule, so each project had its own detailed schedule that was refreshed every week with each (cross-functional) migration team. At the end of each week, a roll-up process occurred so the lowest level activities of the macro schedule rolled up to the top level of the detailed schedule. The process was fast, taking less than one hour a week to get an accurate picture of all tool and application migrations. The second part of execution was tracking the financials and specifically the savings that were being realized and the projected rate of savings based on the schedule data. The diverse requirements of the various business groups (i.e. our client’s customers) meant that they needed to analyze the financial data (run-rate savings, migration costs, capital expenditure, operational expenditure, etc.) from different perspectives. We developed a cost-model that allowed the team to 1) analyze financial data by business group, application, tier or combinations of all three and 2) track financials by entering the actual financial data as they occurred. Regarding the latter point, we rolled-up all the detailed financial data and graphically plotted actual and forecast financials over time along with the targets. The model was also dynamic so the team could choose to select what data was plotted: quarterly or/and cumulative and whether baseline data for each was plotted. This model allowed the team to grasp the impact of the financials that in turn allowed them to optimize and further accelerate the savings. It was also a tremendous vehicle for reporting the status to senior management. Most importantly it gave us trending information that told us the health of the program; were we falling behind the cost savings curve or were we accelerating the cost savings? We needed this information to determine if individual projects needed to be accelerated and if we needed to start more projects in order to achieve the savings target. We realized later in the effort that we had developed a generic set of decision modeling and tracking tools that could be used to plan and track virtually any complex cost-savings program. Over the succeeding several months, dozens of high-value migrations were scheduled and the team accelerated both the program and the savings. The following year, the Infrastructure Rationalization program received the program of the year award within Schwab. The Managing Director of the Program Robin McGlothin and the Program Manager Jodi Speegle were both publicly recognized by Charles Schwab (in person) for their outstanding achievement. When the project completed, through consolidation and optimization the team reduced the number of servers from 1100 to 400. The Schwab Team beat their savings targets and came in ahead of schedule. In discussions with the team just prior to concluding the program, they attributed the success to the portfolio prioritization model that was developed which told them which servers they should target first to maximize their savings early and gave them the sequence of project start-up that allowed them to beat their own schedule. The execution process has since migrated throughout that division of Schwab.